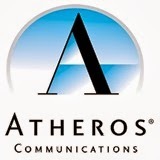 The new package of drivers for devices Wi-Fi standard 802.11 a/b/g/n from the company Atheros. Drivers are designed for adapters with Atheros chips series: AR5xxx/9xxxx. The driver supports the operating systems Windows 200x, Windows XP, Vista, Windows 7, Windows 8, Windows 8.1 Blue (32/64 bits). OS: Windows 200x, Windows XP, Vista, Windows 7, Windows 8, Windows 8.1 Blue (32/64 bits). "Allied Telesyn AT-WCC201g Wireless Card Bus Adapter"
"Allied Telesyn AT-WCP201g Wireless PCI Adapter"
"Foxconn 802.11 a/b/g/n Wireless System Adaptor"
"HP 802.11a/b/g Wireless Network Adapter"
"HP 802.11b/g Wireless Network Adapter"
"WNC CM9 Wireless LAN mini-PCI Network Adapter"
"Qualcomm Atheros AR9281 802.11b/g/n WLAN HMC Network"
"Atheros AR938x Wireless Network Adapter"
"Atheros AR956x Wireless Network Adapter"
"Atheros AR9485 Wireless Network Adapter"